Hey guys! 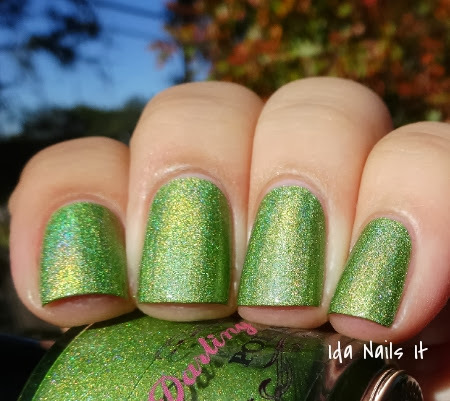 How about some more ah-mazing Darling Diva Polishes? These seven are part of her Fall Collection, more specifically the Diamond Collection. These will be released very soon, along with the Opal Collection, which I posted about on Tuesday, so make sure to check out Darling Diva's Facebook page for restock information. 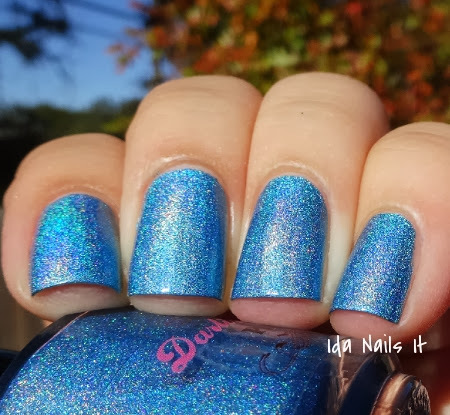 Darling Diva Polish can be purchased in her Etsy and Big Cartel shops as well as through Llarowe and Edgy Polish. Updates can be found on her Facebook page. How is the holo on these? The colors are downright GORGEOUS! I love how rich and pigmented they are. And the finish is very pretty too. 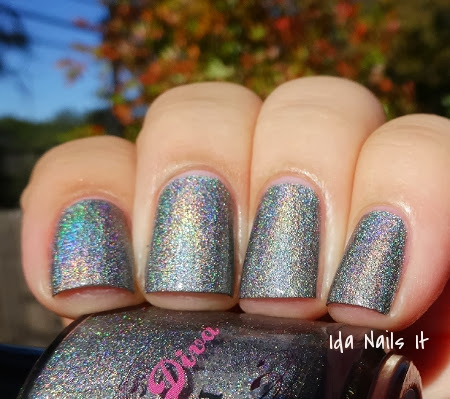 It looks soft and suede, opposed to your normal high gloss holo. But in all the swatches I've seen online, I don't see a very strong linear effect. 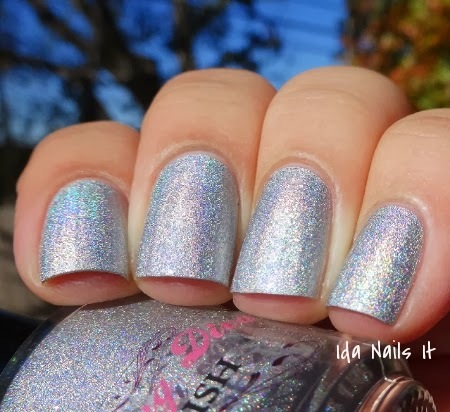 Are the pics just not translating, or did she do a softer holo to compliment the velvety finish? The holo is strong but since the base is so pigmented, the holo flame isn't quite as prevalent as say, Jade holos, that have a jelly-like base. These are more similar to the older Color Club holo polishes, like Revvvolution but less scattered holo, more linear. I hope that helps! Diamond polishing products refers to the quality of the products in which the diamond's surface condition is polished after the cutting process.